Don’t skimp when it comes to buying a good setup to use for development, especially if you spend most of your time developing. A few years back I was lucky enough to work for a company that provided better than needed equipment. I had been using a small keyboard with flat keys that came standard with the Mac machine, and made a comment about missing the full keyboard, number pad, among the flat keys that felt like a laptop. 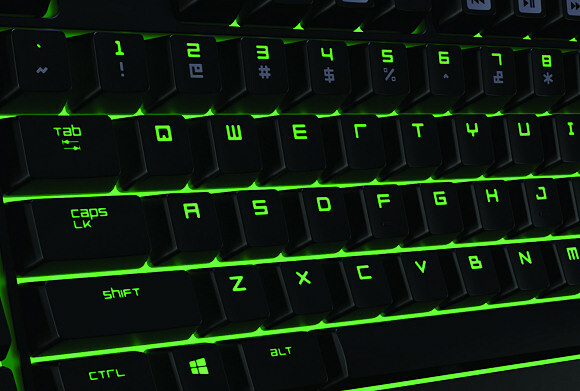 The following day they replaced the keyboard with a mechanical keyboard from Razer, a BlackWidow. Never having used a mechanical keyboard before I thought this was both overkill, that keyboard costs a fair bit, and assumed there was just a hype around mechanical keyboards. How wrong I was. The audible and tactile feedback from the mechanical keyboard was amazing. Now working from home, both professionally and personally, I’ve recently upgraded my PC to have that same keyboard. Within a week I documented almost all of the reference level documentation needed for TurtleBrains, I think, because it felt awesome to type. Otherwise I was just on some other motivated wave of documenting the framework. My old Logitech G15 was a nice keyboard for many years, it was moved over to my MacBook Pro setup which I use mostly for professional development. While this was magnitudes better than using the laptop keyboard, my fingers were itching to get back on the mechanical keyboard. I decided to buy a second one, so both of my workstations have this equipment. Which leads me to the final point, it was a fair bit of money to spend on keyboards and development equipment. But given this blog post has taken at least 3300 key strokes, I’d say it is worth making each one feel good. There will always be situations where you will have to make do, and in those situations, you make do. For other situations where you can reach around a little bit, make sure to extend yourself towards the things you really use often. This entry was posted on Tuesday, April 28th, 2015 at 10:36 pm and is filed under Code Quality, Programming. You can follow any responses to this entry through the RSS 2.0 feed. Both comments and pings are currently closed.